Reetu Gupta is the new president and CEO of Markham, Ont.-based The Gupta Group and Easton’s Group of Hotels. Over 20 years, Reetu Gupta has served both companies in various positions. She was appointed COO in 2015 and has been integral to Gupta Group’s diversification into the residential sector. 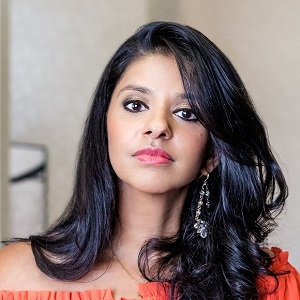 In 2017, Gupta and brother Suraj launched Rogue Insight Capital Ltd., a Toronto-based angel investment firm where she is chief strategy officer. She has received four awards during 2018, including being named one of ‘Canada’s Top 40 Under 40’ and ‘Entrepreneur of the Year’ by the Indo-Canada Chamber of Commerce. “Reetu was born and raised in the world of hospitality and real estate which resulted in her passion for both industries,” said Gupta Group founder and chair Dr. Steve Gupta in a prepared statement. The Easton’s Group of Hotels is Canada’s largest private hotel development company; its properties welcome more than a million guests annually. Gupta Group is the residential real estate division, currently with two condo developments under construction in downtown Toronto. Rogue Insight Capital invests in cutting-edge startups with a portfolio spanning five continents. Kingsway Financial Services Inc. has promoted John T. “JT” Fitzgerald to the roles of president and chief executive officer. Fitzgerald was formerly the company’s president and chief operating officer. As CEO, Fitzgerald also continues to serve on the board, which he joined in April 2016. Larry G. Swets, Jr., the outgoing CEO, transitions to a role as senior advisor to Kingsway Financial and will remain on the board of directors. “JT’s appointment and the orderly transition announced today are the culmination of a careful and deliberate process overseen by the board of directors,” said Terence Kavanagh, Kingsway’s chairman of the board, in a release. Kingsway is a holding company which owns or controls subsidiaries primarily in the insurance, extended warranty, asset management and real estate industries. Antonio Bellano has been appointed a principal of Avison Young and practice leader, B.C., project management, at the firm’s Vancouver office. The 20-year industry veteran will focus on expanding its project management service line. Most recently, Bellano was vice-president of property development with Gateway Casinos & Entertainment Ltd.
“Antonio has hands-on experience in more than $1 billion of new builds, renovations, refurbishments and special projects, and he has deep and strong industry relationships,” said Michael Keenan, principal and managing director of AY Vancouver, in a release announcing the hiring. Bellano has overseen the project management, development, planning and delivery of resort, hotel, restaurant, retail and casino properties in Canada, the U.S. and Mexico. Prior to joining Gateway, he held numerous positions in Metro Vancouver and Washington state with SilverBirch Hotels & Resorts, Joey Restaurant Group, Wyndham Worldwide, New Generation Construction and Intrawest. Bellano holds a Bachelor of Technology in construction management from the B.C. Institute of Technology, and a Hotel Real Estate Investments and Asset Management Certificate from Cornell. Colliers has appointed Dan Chubey as managing director, Winnipeg. An accomplished sales and marketing leader, Chubey spent 14 years with Labatt Breweries, most recently as director, BC Sales. He led the 55-strong BC/Yukon team, contributing more than $270 million in net revenue. He was recognized as a director-level top performer in 2015 and 2016, achieving 100 per cent of his KPIs. Within Labatt, Chubey also held the positions of director, Ontario Sales; district sales manager, Manitoba; and commercial planning & execution manager, Prairies, among others. He holds a Bachelor of Commerce (Honours), with a Major in Finance and International Business, from University of Manitoba. Valery Zamuner is a new appointee to the board of trustees at Northview Apartment REIT (NVU-UN-T). The senior vice-president of mergers, acquisitions and strategic initiatives at global streaming music and video provider Stingray has more than 18 years of experience in the M&A sector for public and private companies. Prior to joining Stingray, she was the executive vice-president of mergers and acquisitions and chief legal officer of WSP Global Inc. Zamuner holds a Bachelor of Law degree from Laval University and an MBA from the John Molson School of Business at Concordia.